If the URL already has a canonical pointing to itself, there are no issues with this. In Joomla2.5 and earlier, canonical URLs do not exist, so unless you use an extension, you go without them. In Joomla 3, they were introduced though. This solves quite a few issues, like the one in the example above (the one with and without the index.php part in the URL). The implementation is such that all URLs receive a canonical, usually pointing to themselves for correctly found preferred URLs, while non-preferred URLs sometimes point to the preferred ones. Unfortunately the implementation is not yet fully correct. This is a work in progress feature that might be solved in near Joomla releases (including an initiative by Hannes Papenberg to work on this). Before we get this far, we need to live with some limitations. This page does not even exits, it returms a 404-error. Happily this is basically the case for non-SEF URLs, but it still shows implementation is not really flawless... So, as long as you have a simple site with menu-items linked to single articles, you will probably not suffer, but on sites with more complex views, it might be good to be aware of the issue. There are some more examples, like incorrect canonicals for paginated blog and list views for categories, etc. Like often, there are solutions available. Realize that some of these solutions simply remove canonical URLs completely, which also removes the positive effects it has! Always check very carefully what you are doing. You may now realize that canonicals are a very powerful tool, but using the feature incorrect can cause a lot of trouble! The major SEF extensions (SH404SEF, MijoSEF, etc.) all set a canonical URL. Even more, they allow you to customize it, so it gives you a lot of freedom to customize them. Recently a really small free plugin has been publised which seems to do just what we need here, the Canonical plugin by Styleware. Take care though, I have seen sites where this plugin did not deliver, with bad consequences. Another plugin (paid) is Canonical Links All in One. I have not seen this one in action yet. 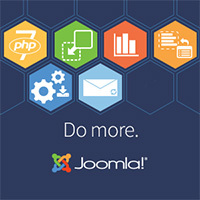 Joomla 3 is still in progress, so let's hope these problems will be fixed and we don't need these fixes. By the way, this article by Yoast is also an interesting read.